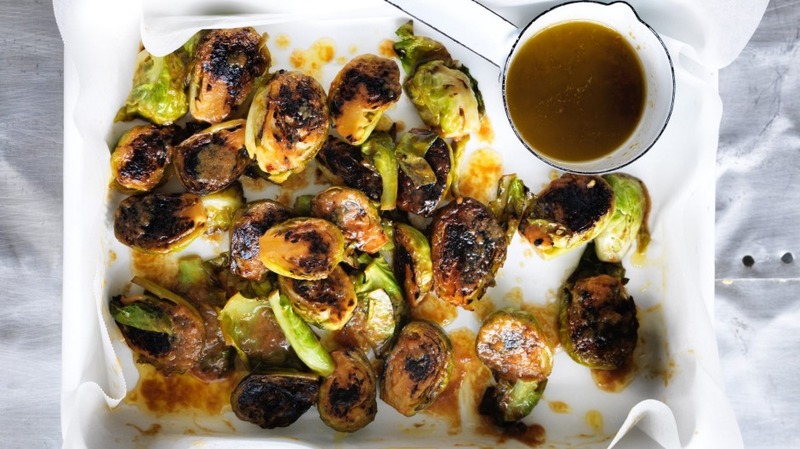 These brussels sprouts get blackened by the pan and glazed with butter and miso to create a spectacular accompaniment you'll want to make again and again. 1. Heat a large frying pan over high heat and add the oil. 2. Carefully place the brussels sprouts in a single layer over the base of the frying pan, cut side down, and fry without touching them until the cut side of the sprouts is well browned, even blackened in parts. 3. Add the white wine and ¾ cup of water and bring to the boil. 4. Season well with salt and boil uncovered until all the liquid has evaporated, about 8 minutes, and the sprouts start to fry again. 5. Mix the miso paste and castor sugar into the butter until well combined. Add the mixture to the brussels sprouts and stir together until the sprouts are caramelised. Transfer to a plate and serve. For another umami veg recipe try Adam Liaw's cabbage with porcini and caramelised onion butter.